I hope that you enjoy reading this history of my great grandparents' lives. I have found it a rewarding experience to compile this information. During this process, I learned a great deal about the Kelmans and other branches of my family as well as the general history of Eastern European Jewry. If anyone who reads this has any corrections, additions, stories, anecdotes, photographs or other information that they would like to share with me or have me add to this document, please contact me. I’d like to hear from you! I would like to thank my cousins, Bebe Kagan, Dr. Kelman Cohen, Todd and Kathy Binns, my cousin Rabbi Ronald Androphy and my mother, Pearl Kramer, for their help with this document. 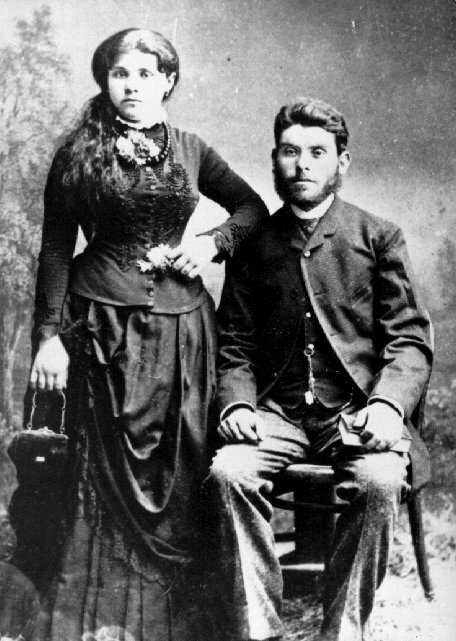 Chaim Benyamin (Henry Bernard) and Brana Boord Kelman were my great grandparents. They were the parents of my maternal grandmother, Rose Kelman Androphy. Chaim died before I was born and I am named after him, as is my Uncle Howard Androphy, my mother’s brother. I remember meeting my great grandmother, Brana, who was referred to as “Baubie.” I was very young since she passed away when I was six years old. On the left is a picture of my great parents, Brana and Chaim (Henry) Kelman probably on their wedding day in 1892 or 1893 in Kishinev, Moldava. 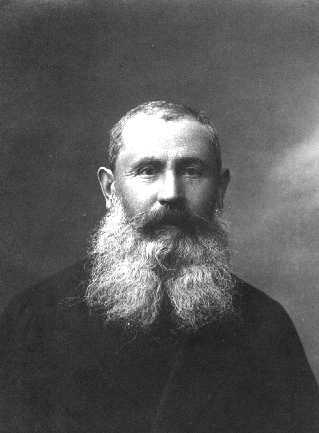 Chaim and Brana Kelman were originally from Kishinev, the capital city of modern day	Moldava, in what was then called Romania. My great grandfather, Chaim Kelman, was born on December 25, 1866 most likely in Kishinev . My great grandmother Brana Boord, was born in 1871, probably in Balta, that is about 70 miles northwest of Kishinev. Her son, Max Kelman, thought that she was possibly also may have been born in Kishinev. Kishinev and Balta are located in the territory known as Bessarabia (Basarabia in Romanian) which has changed hands between Romania and Russia several times. Kishinev is also referred to as “Chesanow or Chisinau” which is its original Romanian pronunciation. Jews lived in Kishinev for many years. According to the Encyclopedia Judaica, “A Jewish cemetery is known to have existed in a village near Kishinev during the 18th century.” In 1898 there were 16 Jewish schools in Kishinev with 2,100 students [and] 700 Jewish pupils attended general school.” In 1900, Kishinev had a sizable Jewish population of over 60,000 and, according to the Wikipedia entry for Kishinvev, over 60% of the population was Jewish, . However, after the Pogroms of 1903 and 1905 in Kishinev the population steadily declined. Chaim was born on December 25, 1868. His given Hebrew name was Chaim Benyamin. He changed it to Henry Bernard when he came to America. Chaim Benyamin is my Uncle Howard Androphy’s and my Hebrew name because we are named after him. Bebe said that her grandmother called her husband “Chaim” and she often used the nickname “Benuman” that was a variation of his middle name. His father was Moses (Moshe) Kelman. According to cousin Kelman Cohen, some Kelman family members were originally from Spain and that they left Spain during the Spanish Inquisition sometime around 1492 and migrated to Odessa. My grandmother, Rose Kelman Androphy, said that her father’s family were costumers in the theater. Cousin Bebe Kagan also confirmed this when she told me that Brana said that Chaim and his family supplied costumes to the theater and that it was a very good business. Chaim's mother’s first name was Faga but no one can recall her maiden name. 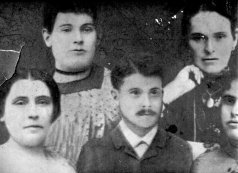 Great grandfather Chaim had three sisters, Rayna, Rachel and Fagel who were all younger than him. We had a visit once from Joe Throbrieter and his wife from Copenhagen. His mother was evidently one of Chaim's sisters. My brother, Jeff, met some members of this distant part of the family when he visited Denmark. 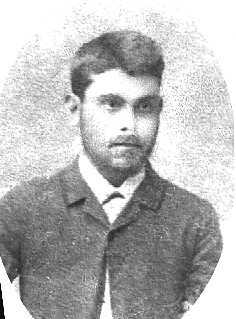 Henry as a young man. Brana Boord was born September 17, 1872. Her father was Louis Boord who was an inn keeper. Louis was probably the English version of his Hebrew name, “Eleazer”, since Brana’s gravestone says that she is Brana, bat (daughter of) Eleazer. She had at least five siblings, Shii, Jacob, Etta, Hasa and Hia. She was probably the youngest child. The inn was evidently a good business since Brana told her grandchildren that she was from a wealthy family. Bebe Kagan said that the inn was a larger enterprise than it was not just an inn. It also sold grain and other supplies. Brana also told Bebe about how her father had to hide the inn’s silver and other valuables during the pogroms. Bebe also told me that Brana’s brother Jacob, who had come to America, went back to Romania to run the inn since life in America was too tough for him.